Solid wood kitchen cabinets tend to be the best for quality and durability, according to our survey of 3,443 kitchen owners. But our research shows that the construction of the units is just as important for a long-lasting kitchen. 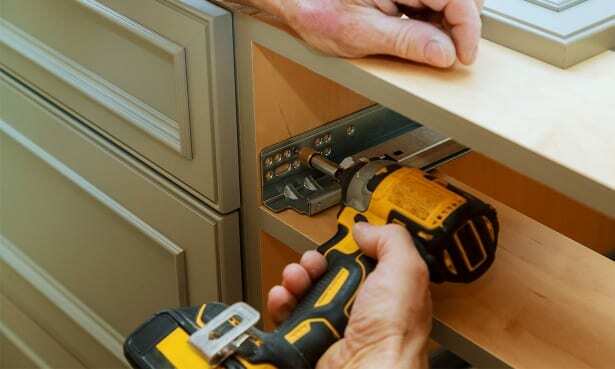 From solid oak to laminate-covered MDF or chipboard, and from flat-packed units to bespoke, pre-built ones, there are a lot of decisions to make when it comes to choosing new kitchen cabinets. Prices can vary considerably, as can the quality and durability of the final product. 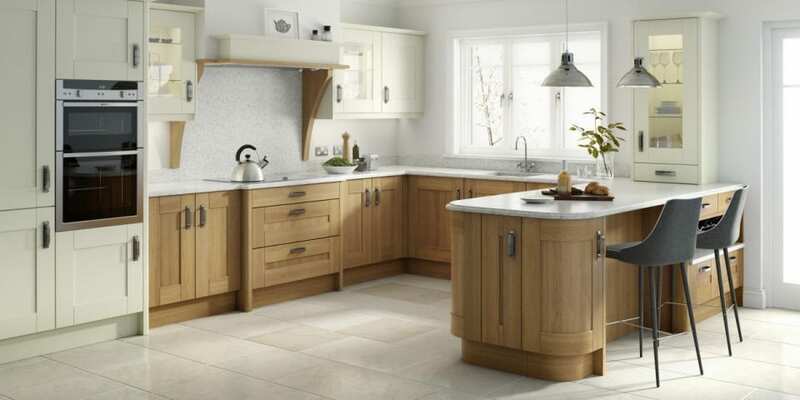 To help you make your choice, we’ve spoken to owners and expert kitchen fitters to find out which kitchen units will ensure your kitchen stays sturdy for many years to come. Before you buy, visit our fitted kitchen reviews to see what customers think of popular kitchen companies, including Wren Kitchens, Ikea, Wickes, B&Q and DIY Kitchens. We asked 3,443 kitchen owners* what material their kitchen cabinets are made out of and how well they believe the units have fared for quality and durability over time. Solid oak came out on top for both quality and durability, followed by other solid wood options – painted solid wood and solid beech. 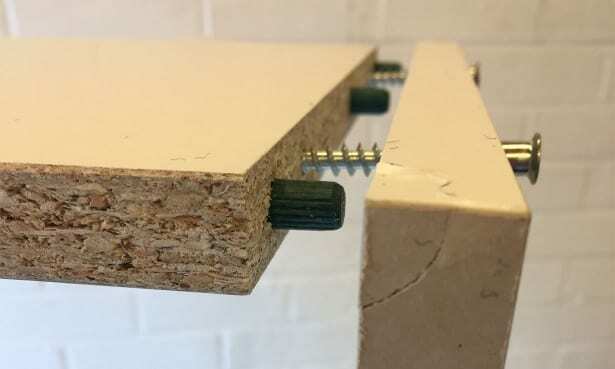 Laminates on chipboard, whether gloss, matt or wood-effect, scored worst on both measures. Laminates on MDF (medium-density hardboard) came between the two. The table below shows how many people who own that material said their kitchen units were ‘excellent’ for quality and durability. Although oak was rated highest, all three solid wood options did well. Oak is generally more hard-wearing than beech. All three types of laminate-covered MDF were rated similarly. But when it comes to chipboard units, wood-effect laminates scored considerably worse than gloss and matt-effect options. MDF and chipboard are the most common kitchen materials, especially at budget kitchen brands such as Ikea, Wickes and B&Q. Head to our page on kitchen units to see how people rate different types of doors and worktops. When we spoke to kitchen experts, they said that the thickness of the unit and the way it is joined together can have a big impact on how sturdy it is. Last year, we assessed kitchen units under lab conditions, using expert kitchen fitters to rate them for their quality. Three of the four brands we assessed achieved a Best Buy for their units. The two kitchen units that came top overall, with lab assessment scores of 92% and 90%, were pre-built units. Experts say pre-built units tend to be sturdier than flat-packed alternatives, as the joints have already been fixed together. There’s more risk with flat-packed kitchens that they can be installed incorrectly, leading to joints being less solid. Three of the flat-packed units we looked at did well, but didn’t score highly enough to be Best Buys. But one flat-pack unit did secure a Best Buy, with a score of 78%. wooden dowels secured in holes with two sets of metal studs and cams. These are essentially discs that, once inserted into the holes and turned 90 degrees, secure the dowel in place. The last option tends to be the strongest, and the first the weakest. So, don’t automatically discount ‘cheaper’ materials, but instead make sure you look at the overall construction and quality of a unit, as these encompass a number of elements. Head to best kitchens to find out more about how we assessed kitchen units, and which three brands secured Best Buys. *In October/November 2017 we asked 3,443 Which? members about their kitchen buying experiences in the past 10 years. In Spring 2018, we assessed three units (a base unit, wall cupboard and a drawer unit) from the kitchen brands that achieved a customer score of 70% or more, as well as four- or five-star ratings for all five elements we asked people about in our survey.